So my birthday was this past Monday. I’m not sharing my age, not because I particularly care, but because a lovely young man during a school visit this week guessed that I was “at least twenty years old”. As a thank you for subscribing to this blog, I’m offering an exclusive contest for you! 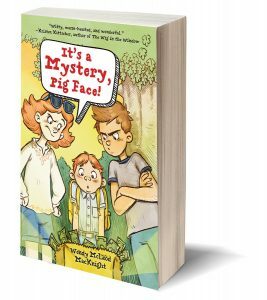 This week on twitter, I offered to give away a copy of The Frame-Up and It’s a Mystery, Pig Face. 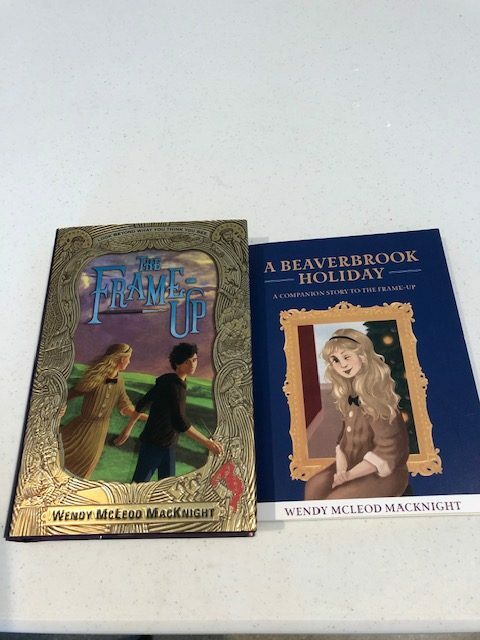 Not only will one lucky reader get a copy of the above, but I’m throwing in bookmarks, some bookplates, an extra copy of It’s a Mystery, Pig Face, and the story I wrote about the characters in The Frame-Up, A Beaverbrook Holiday! To enter, just leave a note below! I’ll draw a name next Thursday and send them off to you! Thanks for hanging in here and Happy Wendy’s Birthday to YOU! Oh – thank you Maria!!! That is so kind! Loved The Frame -Up and really enjoyed our tour of the Beaverbrook gallery we did with you in November. Would love to have the follow-up book to The Frame Up. Keep on using that fertile imagination of yours to create these wonderful books! Thanks Paulette! And if you don’t win, by all means, call the Beaverbrook – they’re only $12 and they’ll pop it in the mail to you! Agree! I always think of Robert as Canadian! Happy Birthday! And the presents are fun and gorgeous! Thank you for the chance! I’ve heard so many great things about The Frame Up. Happy Birthday 🎉🎈 I’ve enjoyed your posts and this is a sweet giveaway.